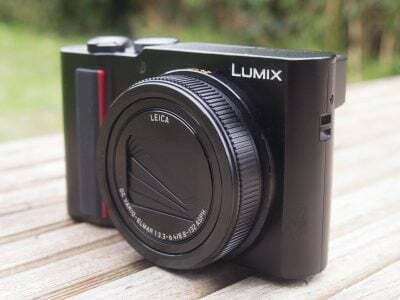 Panasonic’s Lumix DMC-FZ47 (or FZ48 as it’s known in Europe), is a 12.1 Megapixel super-zoom camera with a 24x stabilised range, Full HD video capabilities and a detailed 3in screen. 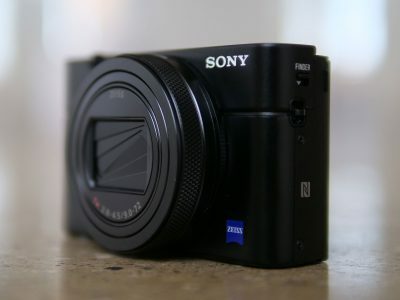 Launched in July 2011, it replaces the popular Lumix FZ40 (or FZ45 as it was known outside North America). Over recent generations of the FZ-series, Panasonic has updated the lens on every other model, so since the optics received a revamp with the previous FZ40 / FZ45, it’s not surprising to find the lens unchanged on the new FZ47 / FZ48. As such, this latest Lumix inherits the 25-600mm equivalent range of its predecessor and therefore continues to fall short of the whopping 35x and 36x ranges boasted by the Canon PowerShot SX40 HS and Olympus SP810UZ respectively. That said, while the Canon and Olympus undoubtedly reach comfortably further in the telephoto stakes, the 25-600mm range of the Panasonic continues to be extremely versatile, with few occasions when you’d want anything more. And to be fair, while the lens range may be unchanged, Panasonic has equipped the optics with nano-coatings to reduce reflectivity and added the Active Stabilisation mode seen on the ZS10 / TZ20 which better combats wobbling when walking and filming. With essentially the same lens and body as the FZ40 / FZ45 though, the most significant external upgrade on the new model is a higher resolution screen: it remains 3in across the diagonal, but now sports 460k pixels (480×320) compared to the 230k pixels (320×240) of its predecessor, allowing it to display a more detailed view during composition and playback. The rest of the upgrades are internal, with a headline boost in the video recording resolution from 720p to 1080i, an increase in continuous shooting from 1.8 to 3.75fps, 3D capture and a new Creative Control mode with a selection of special effects which can be applied as you take photos or video, including the popular miniature effect. Arguably the most important upgrades though is in fact a downgrade, at least in numbers anyway: the sensor resolution has dropped from 14 to 12 Megapixels, in order to use a high-speed CCD which supports Full HD video and quicker continuous shooting, but which may have the additional benefit of lower noise. It’s critical for the sensor to perform well out of the box, since the FZ47 / FZ48 now sadly lacks the RAW shooting mode of its predecessors, which allowed enthusiasts to greater tweak settings and exploit the detail recorded. Since the new Lumix FZ47 / FZ48 shares so much in common with its predecessor, I’ll be concentrating mostly on the new features in this review, especially the quality of the new 1080i movie mode and of course that new 12 Megapixel sensor. If you’d like more information on the previous model as a backgrounder, please see our Panasonic FZ40 / FZ45 review. But before starting, here’s a couple of shots to illustrate the enormous zoom range of the camera in practice; it may fall short of the biggest zooms out there, but it’s still an impressive range to have at your disposal. So if you were thinking it might limit you in some way, hopefully these two images should reassure you. The biggest physical difference between the Lumix FZ47 / FZ48 and its predecessor is a higher resolution screen, with the new model sporting 460k resolution, compared to 230k on the earlier FZ40 / FZ45. This matches the specification of the Lumix FZ100 and corresponds to a display resolution of 480×320 pixels compared to 320×240 pixels on a 230k screen. The 3in diagonal and 3:2 aspect ratio remain the same as before, so there’s thin black bars to the sides of 4:3 shaped photos or above and below 16:9 frames. The actual linear increase in pixels of the FZ47 / FZ48’s display over its predecessor only equates to about 50%, but it genuinely delivers a noticeably more detailed image during composition or playback. I really noticed the difference when composing the test shots you’ll see in the results pages, where I have to carefully adjust the zooms on each camera to deliver the same field of view. I normally look for key landmarks to line-up at the frame borders, and this process was much easier with the higher resolution screen of the FZ47 / FZ48 than its predecessor. It’s an even bigger difference when compared with the smaller 2.7in / 230k screen of the Canon SX40 HS, although to be fair, that model enjoys a fully-articulated screen in its favour, whereas the FZ47 / FZ48’s screen remains fixed in position. The quality and size of the screen may not make any difference to the quality of your images, but larger, higher resolution displays are nice to compose and view your photos on, not to mention making it easier to confirm the focus – so it’s a nice upgrade for the FZ47 / FZ48 over its predecessor. Note Panasonic isn’t the leader in super-zoom screens though, as Sony’s Cyber-shot HX100V boasts a 3in screen that articulates vertically and sports 920k (640×480) resolution. Special filter effects are becoming a mandatory capability on today’s digital cameras, so it’s not surprising to find the FZ47 / FZ48 now offering a selection of the usual suspects including Sepia, Grainy, Pinhole and Miniature (tilt-shift) options. These can be previewed on-screen and applied to both still photos and video as you capture them. To access these effects, turn the FZ47 / FZ48’s mode dial to the icon of the painter’s palette and brush. This enters the new Creative Control mode which lets you choose from Expressive (saturated pop-art style), Retro (a soft effect), High Key (biased to bright subjects), Sepia (applying the classic old-fashioned tint), High Dynamic (a punchy levels adjustment but not actual HDR), Pin Hole (the classic strong corner vignette), Film Grain (a grainy black and white effect), and finally the ubiquitous Miniature (which simulates a tilt-shift lens to blur everything on either side of a narrow, adjustable row or column). Note the earlier FZ40 / FZ45 shared the same icon on its mode dial, but it was used to enter the far more basic ‘My Colours’ options. Press the dedicated record button on the top of the FZ47 / FZ48 and you can start filming video with any of the effects applied live. The Miniature effect demands a degree of internal processing which reduces the recordable frame rate to around 3fps, but like other cameras which offer the same feature, instead of showing jerky motion in real-time, these clips are simply played back around ten times faster than normal speed, which further enhances the effect. Obviously this means you’ll need to record for around ten times longer than you want the clip to last during playback – so if you want a one minute of accelerated Miniature footage, you’ll need to film for about ten minutes. You can see an example of this below. While both cameras take a burst of images during the motion, Panasonic only takes the two most appropriate to generate a 3D image. The Lumix FZ47 / FZ48 can also only generate 3D images measuring 1920×1080 pixels (Full HD 1080), whereas the Sony models additionally offer wider panoramas which slide across the screen during playback. In use, it’s hard not to pan the FZ47 / FZ48 in an arc rather than shifting it horizontally as requested by the manual, but both approaches will generate a 3D image. Like Sony’s single-lens 3D capture, you can peer around objects to a certain extent and there’s certainly a convincing impression of depth conveyed on 3D TVs – although again the 3D effect only extends behind the screen, not in front of it. Sticking with the SCN modes for a moment longer, the FZ47 / FZ48 still doesn’t feature the Handheld Night Shot mode of the TZ20 / ZS10, presumably because while the continuous shooting speed has accelerated, it’s still not sufficiently quick to capture a quick burst for composite stacking. 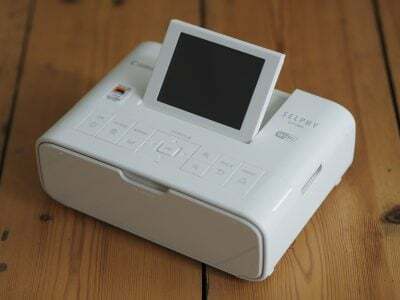 The FZ47 / FZ48 does however offer Intelligent Resolution capabilities, which apply greater sharpening to images, and if i.ZOOM is also enabled, allows the camera to digitally extend its zoom from 24x to around 31x. To put this to the test, I photographed the same scene fully zoomed-in first with the normal settings, followed by Intelligent Resolution, then with i.ZOOM extending the range. Uncropped image, 24x, 600mm equivalent Uncropped image, 31x, 780mm equivalent. Arguably the most important upgrade to the Lumix FZ47 / FZ48 over its predecessor is the jump in movie recording resolution from 720p to Full HD 1080i. It’s a predictable but welcome upgrade, albeit one matched by most of its rivals nowadays including the Sony HX100V and Canon SX40 HS. Like the FZ40 / FZ45 before it, audio is recorded in stereo and you can zoom the lens while filming. As before you can start filming in any mode by simply pressing the red record button, or you can opt for the dedicated Creative Manual mode on the dial, which lets you shoot in either Program, Aperture Priority, Shutter Priority or Manual modes for full control over the exposure. New to the FZ47 / FZ48 though is the ability to capture up to five still photos while filming, albeit only at a maximum of 3.5 Megapixels and in the 16:9 aspect ratio. Panasonic has also equipped the FZ47 / FZ48 with Power OIS stabilisation to better eliminate wobbles from motion like walking while filming. Panasonic continues to offer the choice of two encoding formats, although the old fashioned Motion JPEG option of earlier models has finally been dumped for MP4. So the Lumix FZ47 / FZ48 now lets you choose between AVCHD or MP4, with Panasonic recommending the former for the best quality results or playback on HDTVs, and the latter for extensive editing or uploading. The AVCHD mode can record video in either Full HD 1080i or 720p, both at a rate of 17Mbit/s. 1080i footage is recorded at 50i or 60i depending on region, from a sensor output of 25p or 30p respectively. 720p footage is recorded at 50p or 60p depending on region, although again from a sensor output of 25p or 30p respectively. The MP4 mode can record video in Full HD 1080p, 720p or standard definition VGA, at rates of 20, 10 and 4 Mbit/s respectively. All three modes are encoded using progressive video at 25p or 30p depending on region, and all match the original sensor output of 25p or 30p respectively. Using either of the AVCHD modes you’re looking at about 120 Mbytes per minute of footage, and if you have an FZ47, you should be able to keep filming until you either run out of memory or battery life; I confirmed this by filming a clip lasting just over an hour until I ran out of space. The exception as always are European FZ48 versions which are limited to clips lasting no longer than 29 minutes and 59 seconds. if you’re using the MP4 format, the clip length is limited to 29 minutes and 59 seconds (or a file size of 4GB) regardless of whether you’re using an FZ47 or FZ48. Finally, Panasonic recommends using an SD card rated at Class 4 or faster for recording movies. Okay, that’s enough with the specifications, let’s check out some footage. The first clip above is a handheld pan and zoom which demonstrates the Power OIS stabilisation and optical zoom in action. It’s pretty impressive for casual filming, although the most notable things about this clip are the pink lines around the sunlight rippling on the water at the start of the clip. This is a problem which affects most cameras which use CCD sensors, where very bright areas, like reflected sunlight or a strongly backlit window can saturate the sensor and cause this undesirable line artefact. The answer is to either avoid such subjects or use a camera which employs a CMOS sensor instead. To be fair, I hunt out bright sunny reflections to illustrate the problem, and in general use rarely find it to be a problem, but as always this may affect you more or less depending on what you shoot. For my second clip above, I mounted the FZ47 / FZ48 on a tripod with a fluid head and smoothly panned it from left to right to illustrate a calmer environment. My third clip was filmed from the same location and demonstrates the full range of the optical zoom while filming. The camera smoothly adjusts its zoom with only a slight lurch at the start and impressively manages to keep it in sharp focus almost across the entire clip; there’s only very minor drifting which is barely noticeable. You can barely hear the motor in the background (not to be mistaken for the other background sounds! ), but it’s fairly quiet none-the-less. In my fourth clip, above, I’ve really put the stabilisation and zoom to the test by handholding the camera and tracking moving action while adjusting the focal length back and forth several times. Once again the camera does an admirable job of ironing-out the wobbles and maintaining focus as I zoom back and forth. It’s a very confident performance by the FZ47 / FZ48 in bright conditions. To test the video capabilities in low light I moved indoors for my fifth clip. The clip involves another handheld pan, and again the camera keeps the motion fairly smooth. There’s fractional focus drifting visible if you look really closely, but it’s hardly an issue here. Noise levels are also respectably low considering the sensor size. Towards the end of the clip you’ll see a brightly backlit window, but even with a CCD sensor, there’s only minor vertical streaking faintly visible here. In my sixth clip, above, I put the continuous AF capabilities to the test in a cafe environment, constantly moving the camera and pointing it at subjects at different distances. The FZ47 / FZ48’s continuous AF worked well here, adjusting fairly quickly as required and keeping most of the subjects in sharp focus for the majority of the clip. A decent performance. PS – I go through quite a few coffees and cakes in this cafe, for my – ahem – tests, so if you ever feel like treating me to one, please click the coffee cup in the top right corner of my pages here at Cameralabs – cheers! In my seventh clip, above, I put the continuous AF capabilities to a further test with a subject steadily approaching the camera. I zoomed the FZ47 / FZ48 about halfway through its range and kept the Skyline logo on the cable car in the middle of the frame. As you can see, the camera successfully tracked the subject and kept it in focus for most of the clip. You can see another example of this below, this time with a faster subject, and once again the FZ47 / FZ48 performs admirably, only losing focus for a brief moment towards the end of the clip. Overall I found the Lumix FZ47 / FZ48 handled really well for video, with effective stabilisation and continuous autofocus ensuring your footage was almost always sharp and wobble-free, even when you were panning and zooming all over the place. It’s particularly impressive to film with the camera set to Intelligent Auto and watch the face detection kick-in when a person is recognised, before then switching back to a multi-area AF system, continuously autofocusing all the time; and if you see the focus drift out, a discreet half-press of the shutter release can normally bring it back in a moment without any fuss. That said, earlier Lumix cameras were also no slouches in movie recording, so the big question is whether the new 1080i mode is genuinely capturing more detail than the 720p mode on its predecessor; the numbers suggest so, but it’s always worth checking in practice, so I framed-up the same scene on the FZ47 / FZ48, FZ40 / FZ45 and Canon’s earlier SX30 IS (see left) and filmed a clip with each using their best quality modes. I then took video grabs from each file and have presented them below at 100% for comparison. The FZ47 / FZ48 crop is taken from the area marked by the red rectangle; the FZ40 / FZ45 and SX30 IS crops show a larger area due to their lower resolution video frames of 1280×720 vs 1920×1080. As you’d expect from the numbers, the FZ47 / FZ48 crop is certainly capturing a smaller area, corresponding to its higher video resolution, but what about detail? Even just glancing over the FZ47 / FZ48 crop reveals finer details in the buildings and foliage. You can see it in the branches, windows and rooftops. It may not be as great a difference as you assumed, but the new FZ47 / FZ8’s 1080i movie mode is definitely capturing more detail than its predecessor in 720p. It’s a nice upgrade to have. Like its predecessor, the Lumix FZ47 / FZ48 offers two continuous shooting options. The Burst mode captures up to seven images in the full 12 Megapixel resolution at a speed of 3.75fps, while the High Speed Burst scene preset can capture up to 100 pictures at up to 10fps, using a reduced resolution of 3 Megapixels. The High Speed Burst preset is unchanged from its predecessor, but the news here is the full-resolution Burst mode now operates at roughly twice the speed of the FZ40 / FZ45, which was quoted at 1.8fps. To put it to the test, I timed bursts with the FZ47 / FZ48 set to 1/500 in Shutter Priority mode using its best quality JPEG setting and fitted with a Class 10 SDHC card. I fired-off the quoted seven frames in three seconds before the camera stalled, corresponding to a speed of 2.3fps, which coincidentally was pretty much the same as we measured on the earlier FZ40 / FZ45. So the older model performed better than quoted and the new one performed worse than quoted, with them both actually delivering roughly the same speed. This is a disappointing result for the FZ47 / FZ48 in my tests and I’ll try to get to the bottom of why my sample under-performed in this regard. But even if it had delivered the quoted speed, it would still fall comfortably behind what we’re seeing from the latest CMOS-equipped models. The bottom line is if you want much faster continuous shooting, you should consider a CMOS-based model instead. In one of the more interesting ‘upgrades’ on the Lumix FZ47 / FZ48 over its predecessor, Panasonic actually reduced the sensor resolution from 14 to 12 Megapixels, although the 1 /2.3in size and CCD technology remain unchanged. Frustratingly the RAW recording capabilities of earlier models has been removed from the FZ47 / FZ48, no doubt to further differentiate it from the ‘higher-end’ Lumix FZ100 line. Panasonic explained the drop in resolution on the FZ47 / FZ48 was in order to support Full HD 1080 video along with faster continuous shooting, but it does also raise the question of potentially better performance in low light. To find out how the FZ47 / FZ48’s image quality compares against its predecessor, I took identical compositions with both cameras – along with Canon’s PowerShot SX30 IS for good measure (the SX40 HS wasn’t available at the time of testing) – under bright outdoor and dim interior locations. As always the latter location was shot throughout each camera’s sensitivity range, which for the FZ47 / FZ48 runs between 100 and 1600 ISO at the full resolution, and therefore lacks the 80 ISO setting of its two rivals here. So to find out how the latest Lumix measures-up, check out my real-life resolution and high ISO noise results pages, browse the sample images gallery, or skip to the chase and head straight for my verdict.